Hooray! You've discovered the Tipis, let the fun begin! Each cabin is about 30 feet in diameter, with sleeping for up to 6 in three beds (some are pullout couches). They are fully furnished and stay cozy in the colder months and nice and cool in the summer season. Each cabin has a small kitchenette with a sink, regrigerator, and basic kitchen items that make it easy to cook simple meals. 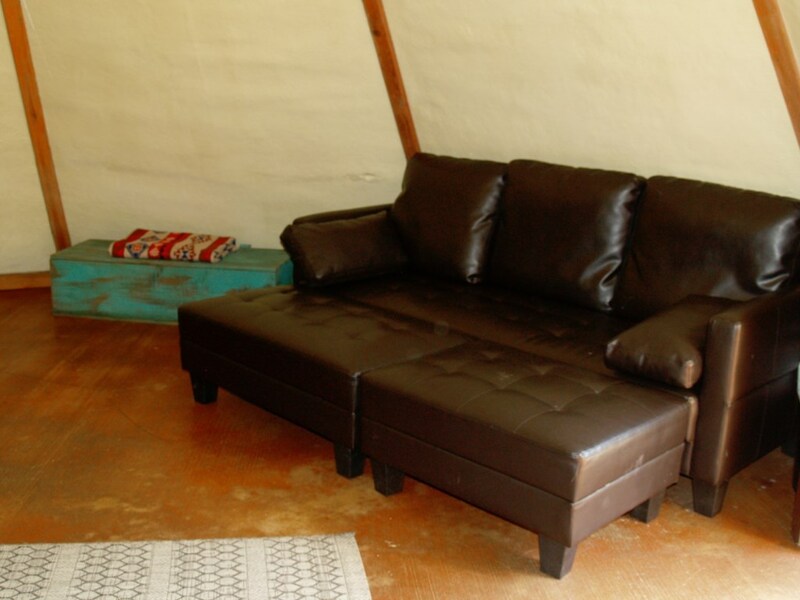 Each Tipi has a designated private bathroom with a sink, commode and large walk-in tiled shower. The bathrooms are located in separate buildings, close to each Tipi. The cabins offer the ease of spending time outdoors by the firepits or taking a stroll down to the water through a tunnel of trees. There's nice furniture on the waterfront deck to sit and drink a morning coffee or an afternoon cocktail! And how do you feel about naps? The tipis stay very dark and are wonderful for taking a restful afternoon nap! There are just to many things to do close by to mention but a few of the highlights are boating, tubing, fly-fishing, strolling, bird-watching, shopping, dinning, sightseeing and concert-going. You are welcome to enjoy our large private River Park, located just 300 yards down River Road or relax in our community game room that offers a big screen TV, ping pong table, a poker table, and indoor/outdoorseating. 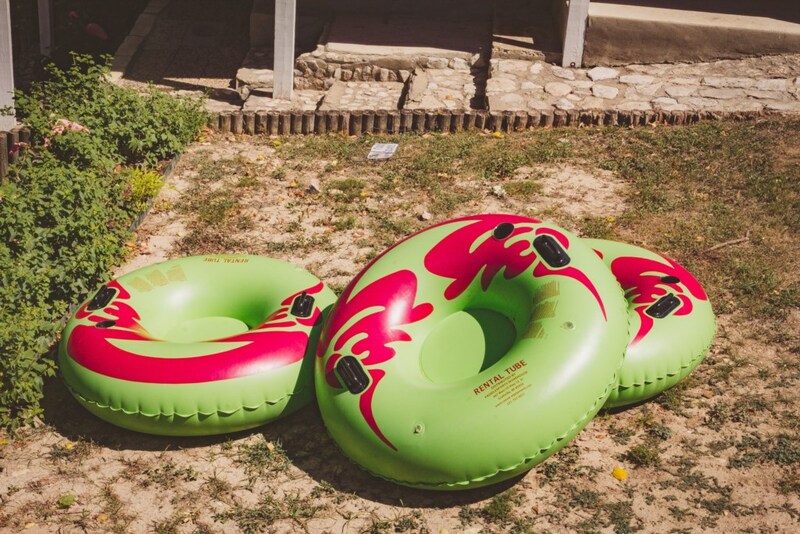 We even offer tube rentals onsite during the high season if you and your group would like to do an easy float and avoid the hassle of lines and shuttles. Have questions? Click here to Contact us. Ready to Book? Click HERE.